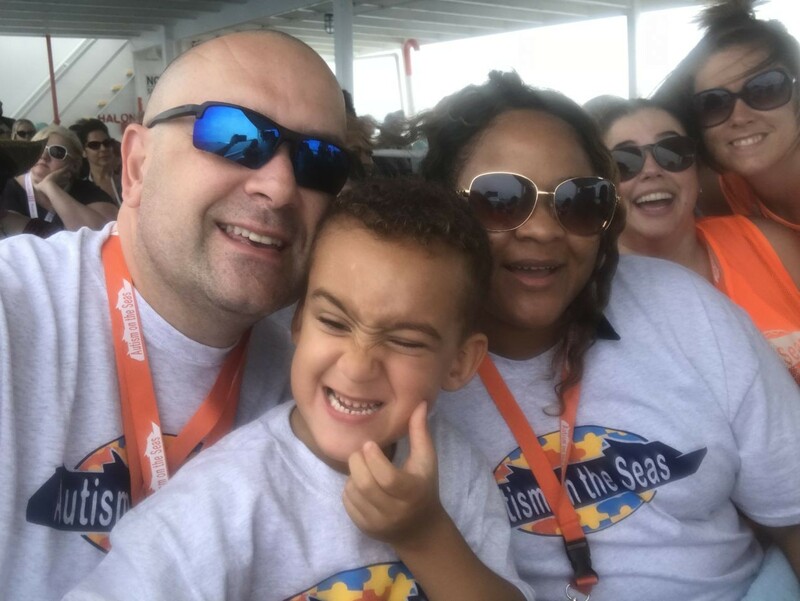 Autism on the Seas: Welcome to the Autism on the Sea special vacation podcast. I'm your host, Lisa Kaslyn and I'm really excited because we get to talk about cruising today with someone who's not long back from an Autism on the Seas cruise. Kim Poppins is here with us from Port Orange, Florida, which is near Dayton. Thank you so much for joining Kim. How was the cruise? KP: It was incredible. It was the best vacation I've ever had in my whole life. AOTS: Where did you go? KP: We departed from Port Canaveral, Fl and we sailed to Labadee, Jamaica and Cozumel. It was a seven-night cruise. AOTS: Who went with you? 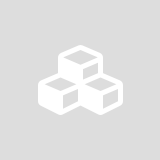 Your husband and son – extended family? KP: It was just my son, Andrew, and me. I recently left an unhappy marriage and I really needed a “Welcome to your new life vacation.” We were in a very stressful relationship for a while so I needed to do something that was liberating. AOTS: I think that’s really brave -- a newly single mom with a special needs teen taking a solo trip is a big deal. Did you have any reservations before you decided to do this? KP: Well, the reason I don't travel a lot with my son is because he's on such a strict gluten-free diet and so am I. That was my biggest worry, that food would be an issue. Food's always an issue, but because of the Facebook Page you all have, I was able to talk to other parents and get a heads up on how to deal with things like that. 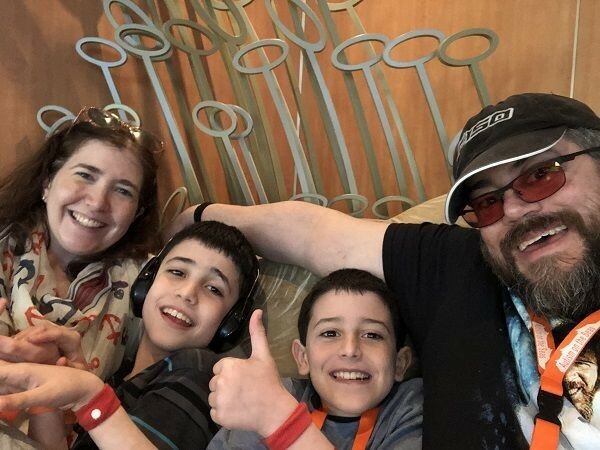 We took a non-AOTS cruise when Andrew was around seven, about nine years ago, and as much as they tried to accommodate his dietary needs, he really didn't want to eat any of the food and I was dying to get home to feed him, so it was my main concern. AOTS: We should talk a little bit about Andrew. Andrew is now 16 and he's on the spectrum, correct? KP: Yes. He'll never be able to live alone. At 16, he communicates more like a toddler. He doesn't say much. I tell everyone we communicate telepathically. We don't need words. Andrew tries hard to be independent, but he's super limited. AOTS: I understand your concern over Andrew’s dietary and eating issues, but was his autism a deterrent for you in any way leading up to this vacation? KP: The social aspect is always there, because being a single mom of a child on the spectrum can be extremely isolating. 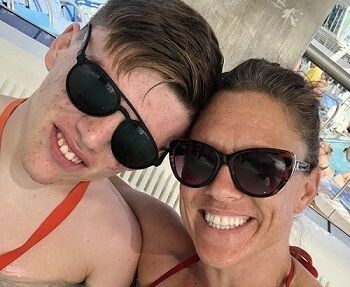 I didn't want to go on vacation and be made to feel like I didn't belong or just feeling “other than” because I’m the only one with a child who's different. It’s uncomfortable. AOTS: Of course. So, did it take a while for you to come to understand what Autism on the Seas was offering as compared to other options? And was the ability to release yourself from that isolation on this cruise one of the factors in taking this vacation? KP: Totally. Just knowing there'd be other families there in the same boat, literally in the same boat – or ship in this case -- and then hearing such great things about all the staff from other families like me, was really helpful in making the decision. It just sounded so amazing, I had to do it. All the special activities, as well as the respite room where my son could go and feel safe if he didn't like doing what I was doing. They offered really cool sensory activities and art and music -- It was just fun, he really enjoyed it. AOTS: Did you see any changes in Andrew as a result of this trip? Did he do anything that he might not have done before? KP: Totally! We cruised on Royal Caribbean’s Oasis of the Seas and they had the Flow Rider, it's a surf simulator. You can either lie on your belly and boogie board or you can stand up and surf and we had our own little time blocked just for our kids and anyone in our group. That's something Andrew would have never done. I think just sitting there, watching everyone and how patient everyone, even the ship crew, was and how well they knew the group and knew how to handle the kids – Andrew just did it and he had a blast. Before this trip, that would have been an activity that he would not have taken on. At home, when we go to a waterpark, everyone in line stares at him, waiting for him to go down the slide, and he becomes anxious and ends up not taking his turn. This was different – there was so much caring support, everyone's encouraging everyone. It was awesome. And the best part was, I didn't have to explain anything to anyone about my son’s condition, because they already knew, understood, accepted and encouraged him. AOTS: People don't realize when we host these cruises, that we do have our own time blocks on most of the ship’s activities. So if there's a rock climbing wall, bumper cars or water parks, whatever it is, we have our own blocks of time. So everybody in our own group is together, and that supports an incredibly inclusive dynamic for families. I’m glad you guys enjoyed that. AOTS: So, go back to the eating issues, because we work with many guests that have special dietary requirements, was that an issue on the ship? Were you able to get what you needed for Andrew? KP: Oh my goodness, it was insane. They brought us so much food and we had an amazing head waitress and we had another family that was also gluten-free so we had a buddy, we weren't the only ones. It was incredible. They were absolutely incredible and they treated us so well. One night, in particular, we were treated to one of the exclusive restaurants on the ship. They opened it up just to AOTS families and had a special dinner for us. Everyone was phenomenal. AOTS: What would you say to a family who may be on the fence, who really wants and needs this vacation, but in the back of their mind they're just like, ugh, I don't think I can do this with my child, what would you say to them? KP: Definitely reach out and join the Facebook Page as a first step. Once you're on there with all the other parents, you become like instant family. I think there were eight families that I traveled with and we all became Facebook friends, we exchanged information, there was such support. We all clicked immediately. AOTS: That seems to be a common theme when I talk to cruisers. Many families make lifelong friendships with people that they meet on the trip. Talk a little bit about the staff. Was there anybody in particular that your son and you bonded with? KP: Oh my goodness. Everyone was great. Andrew had his own little thing with everyone. Heidi met us at embarkation and she was incredible. She was at the port with us and she showed us what to do. We got our own check in, we bypassed all the lines, she told us exactly what we needed. And I swear I have autism too, all my tabs are constantly open, so just being in a new place with my son, I needed her, literally, to think for me. She was telling me what to do and introducing me to everyone on the way. Ali was also amazing. There was one night I lost my ship card. She took my hand, and walked me to the right counter to get a new one. Everyone just took over. I didn't have to worry about anything. AOTS: That's good to hear. It seems like you got a lot out of the Facebook page, so for those that don't know, we have a Facebook page and we have quite a number of fans there. We also have a Facebook Group page that’s a more private community page. So either or, you can search both on Facebook and we have a website, so if folks want more information they can visit autismontheseas.com. We also started doing ship tours. The program is called Seas for Autism, and we offer something similar to what Wings for Autism does, but for cruise ships. So we basically help folks who want to get over that anxiety hump and go on the ship, take their child, see what it's all about. AOTS: I am so glad that you took the bull by the horns and took this vacation with us. Congratulations and I hope that you come and cruise with us again sometime. KP: Oh, it's mandatory. We're already planning our next trip.